We spent the last morning of our Florida vacation on the water again, this time salt-water fishing. When they cut the engines and the boat began to drift and rock with the ocean waves, Kelly and I both got too seasick to actually do any fishing. 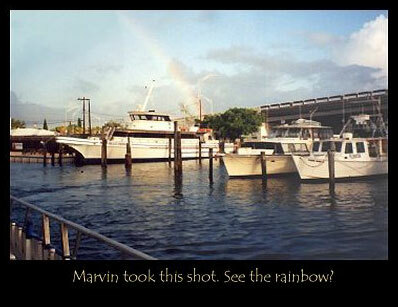 Marvin and Chris did fish, but they didn't catch anything. I think we were all happy to be on land again. We did get a few interesting shots, though.